India & Global Higher Ed: The time is NOW! Higher Education in India is one of the world's most exciting opportunity, and one of the most frustrating problems. The maths are obvious. India has hit upon a massive demographic opportunity, with more than 2 million people on average reaching college-going age every month. Its young population is expected to form a quarter of worlds working age people in a decades time, and its economy, driven by the power of domestic consumption, is expected to become the world's third largest. Despite the recent poor showing of India's rupee and near-death experience of some of its banks, India's economy is also one of the most resilient, given its relatively low exposure to external debt, frugal habits of its people and the strong internal markets. It is expected to wither any global economic storms better than any of its peers. Yet, despite the massive expansion of the Higher Education sector - 10 colleges opened a day on average between 2006 and 2014 - the Gross Enrollment Ratio, the ratio of the number of people who go to college against those who should, remain stubbornly stuck below 20%. The colleges and universities remain grossly underutilised: Average college size in India is only around 600 students against China's over 8000, constricting the ability of the new institutions to invest in faculty, facilities or resources. The expansion of the education sector has been mostly counterproductive: Without a fundamental rethinking of the structure and purpose of Higher Education, the new colleges created capacity without capability, restricting the possibilities of strategic change. While this set the right scene for groundbreaking innovation in Higher Education - here is a possibility of extending Higher Education to over 20 million new students (if China is the benchmark, it has added 20 million new students in the sector over the last decade)! The only comparable opportunity is in Africa, but that's not one country and potentially a decade behind in physical and social infrastructure, not to mention issues of political instability in different parts of it. India is where the promises of all new Higher Education business models ought to be tested. However, India, so far, has been a tale of disappointment, particularly for 'disruptive' companies trying to capitalise on this opportunity. Part of the reason is indeed that these companies, technology companies funded by venture capital, operated with flat-world assumptions and sought to impose a 'one size fits all' education model: That does not work - not in India, not anywhere - as education is a culturally determined activity and labour markets are historically shaped. On the opposite end of the spectrum, the various foreign universities approached India to capitalise on their 'foreignness', in the hope that those new millions of students will buy their superiority unquestioningly and form a beeline: Those hopes were also mostly dashed as pragmatic students used mediocre universities mostly to get to a foreign land and new life, but not for much else. But there is a similarity between these two very different kinds of disappointment: The party is just beginning in India and these early attempts were, well, too early. I say this on account of three fundamental changes taking place in India right now. First, the mix of Indian families sending their children to college is fundamentally different now than they were ever a few years ago. Indian middle class were predominated by 'government families', where the primary bread-earner, and the decision-maker, worked directly for the government or in a public sector enterprise. This implied a certain view of life and preferences about education. However, the growth of the private sector since the 90s, and particularly the expansion of IT/ IT service industries, have created millions of new professional families whose children have just started entering college. Second, whole generations of Indians since Independence grew up on the staple of home-made brands and watched the state television channels. India got TV only in the middle 70s, much after even its neighbouring countries and also Internet access only in 1995. And, while it did a good catch up job since the 90s, attitudes towards tech changes with generations. Let's say that the first cable TV generation is coming of age in India right now and one could perhaps get a sense of the technology lag. It is not a like for like comparison, as India's first cable TV generation is also its first Internet generation, but that in fact emphasizes the point I am trying to make: That we are at a tipping point in terms of who's going to college right now? Third, and this is where a problem may be an opportunity, India is also at a tipping point about its engagement with the outside world. We may hear a lot about Indian IT, but it's India's domestic market which has really driven the economy so far. Indian exports remain minuscule and generally, global knowledge and expertise in Indian businesses are quite low, partly because of domestic focus and partly because of the narrow base of the export sector. This made India one of the most inward-looking countries in the world, where many educated middle-class persons did not have a passport and have rarely travelled abroad. But this is expected to change as globalisation changes shape. Globalisation 1.0, that of outsourcing to cheap locations, made some Indians richer and created a whole new middle class, which forms the base of a new culture. But that phase is well and truly over. What happens next, with the political reactions against globalisation of the kind in the developed nations, is open to speculation, but there are only two ways to go: One is an international network of autarkic states, which would mean negative economic growth for years and potential breaking of the nations; or, more likely, a new global trading system which seeks to correct the structural imbalances such as India maintaining an autarkic and locked-down Higher Ed system while running global back offices. Love it or hate it, Trumpeconomics is just a symptom of this shift, the other parts of which are automation of the jobs and the creation of new jobs and roles. The narrow globalisation is in trouble, but this should make global engagements more broad-based in India, with service sectors in India being more open and Indian companies competing for more knowledge-intensive work. These three factors together would change the demand side of Indian Higher Ed. Indian colleges are wholly unprepared for it. This is partly because India's private Higher Education sector is used to operate under a License Raj, which is the current norm, and when they have had a problem in the past, they have run to the government for support. They have fought, like any protectionist industry lobby, to keep foreign intrusion out. Indian regulations are complex because these lobby groups controlled the regulations. But their influences are waning, with their own business models facing challenges as it fails to impress the new consumers and adapt to the new globalisation. This would make the space for innovative global players. However, for any global education provider looking into India, there are things to be kept in mind. First, Indian Higher Ed is not necessarily a market for disruption, but for the building. A global player, with its higher operating costs and longer learning curve, isn't well suited to convert non-consumers to the consumer and change the game; rather, it is to provide the well-heeled Indian middle-class boys with an education they have been looking for. This means a different set of strategies - matching the local price points but excelling in service levels and student engagement - and deeper engagement. Second, it is too tempting for the global players to get fooled by initial Indian adoration for things foreign. It doesn't last long and Indian students are savvy enough to work out their side of the bargain. There must be value on the table, and a foreign degree would only be valued if it has relevance in the local labour market. Third, complaining about regulatory difficulties is not a business strategy. Every country has regulation and if one thinks Indian regulations are difficult, one should try Malaysia or China. Indian regulations are complex and opaque, true, but if one considers this a significant market, it is worth engaging into. It only shows flawed strategic thinking when a company spends millions of dollars managing regulation in the US and then attempting to circumvent regulations in India, the biggest market of all: It shows that the company has remained a prisoner of the outdated and irrelevant strategy of selling foreign degrees. So, in conclusion, India, the world's most exciting higher education market, is just coming into the party. 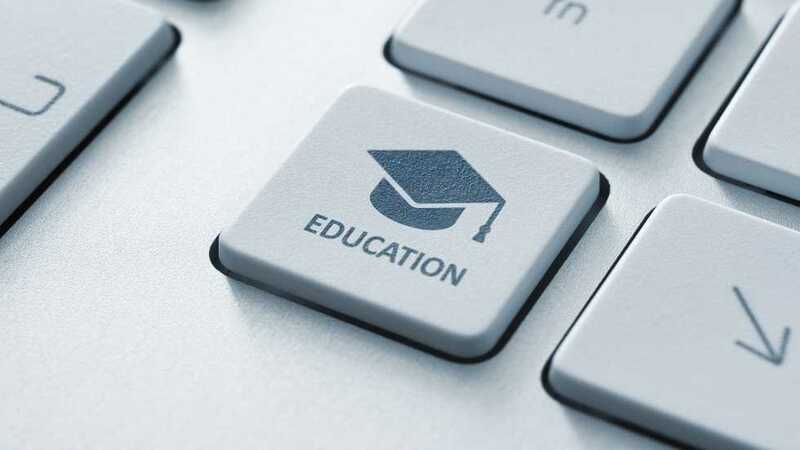 Its Higher Education sector is undergoing profound changes in the demand profile and this presents great opportunities for education providers and investors. Technology is going to play a significant part in this transition, as would global connections and know-how. Which global provider makes it in India, though, would depend on how seriously they engage in it. The superficial approaches that failed in the past wouldn't work, but the solution is simple: A serious strategic engagement with India.